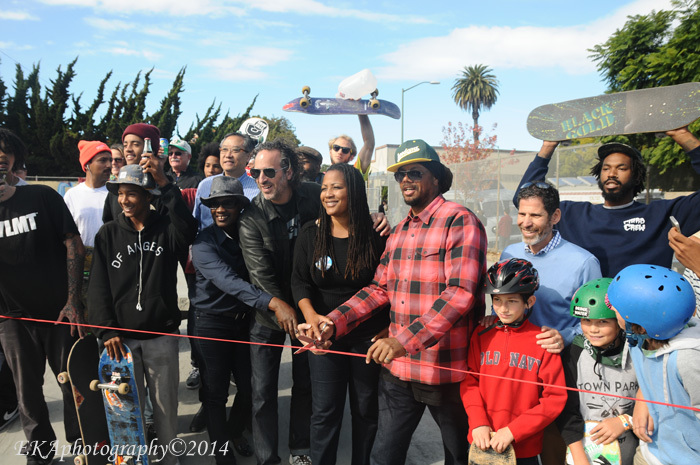 This past Saturday’s opening of Phase I of the newly-renovated Town Park skatepark, located inside West Oakland’s DeFremery Park, represents a “win” on so many levels. 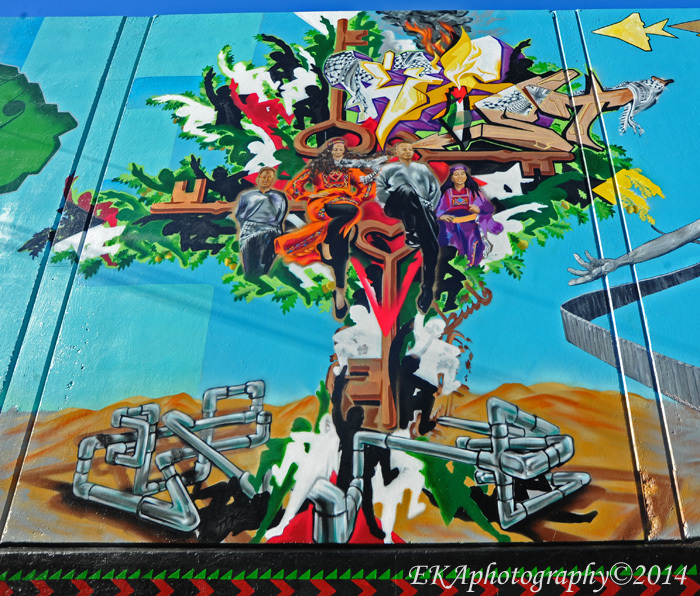 On one hand, it symbolizes the fulfillment of a dream for Keith “K-Dub” Williams, a teacher, artist, and skateboarding advocate. On another, it shows what is possible when community activists commit to the sometimes-tedious process of working with city officials. Furthermore, it’s an example of how projects which positively impact the community—and specifically, the youth—can be supported by corporate sponsorship (which isn’t always a bad thing). And, it continues the evolution and development of a sport which is accessible to a broad range of participants, no matter their ethnic background, social class, or economic status. 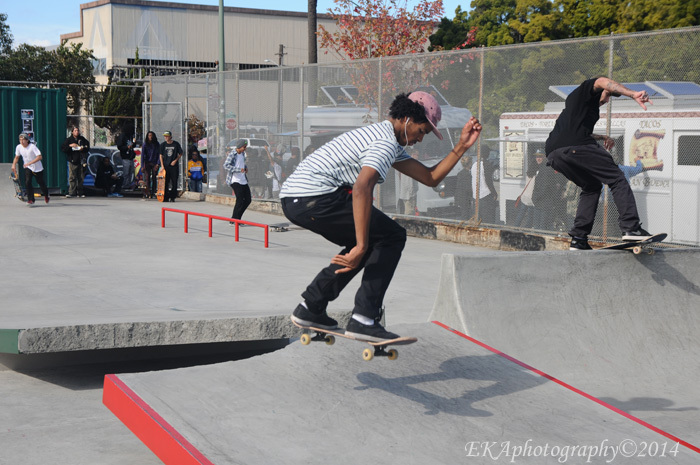 Skateboarding is one of the least-elitist sports activities for youth, and as such, a natural fit for inner city residents. Unlike tennis, figure skating, ballet or golf, it’s not cost-prohibitive and overly class-conscious to get involved in: you don’t need a club membership and expensive gear to be a part of it – all you need is a board, and a willingness to learn tricks. Best of all, skateboarding has a major urban cool factor. 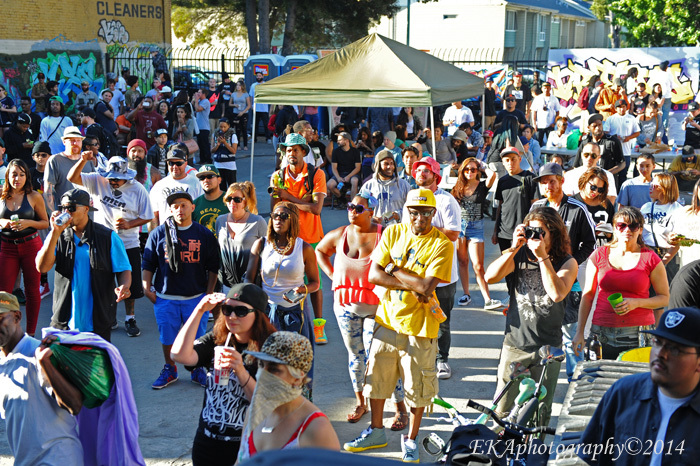 That began to change in the ‘90s, largely due to two factors: the popularity of street skating—a style developed in San Francisco—which urbanized the sport past its suburban pool origins; meanwhile, underground hip-hop gained inroads among skateboarders, who embraced left-of-mainstream rap crews like Wu-Tang Clan and Hieroglyphics. 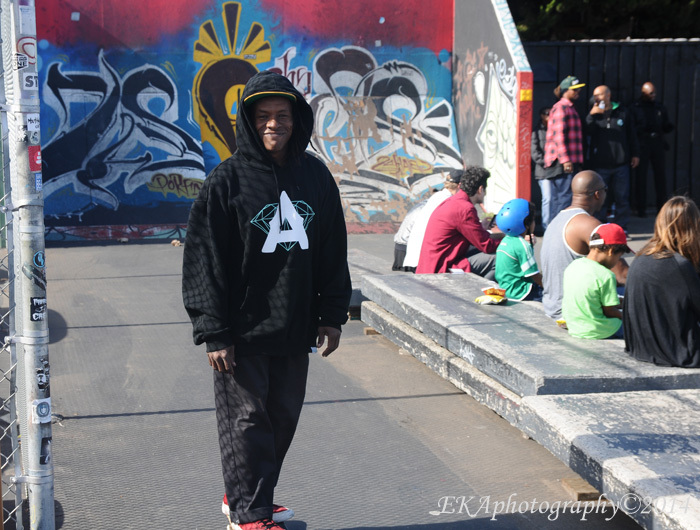 Longtime Oakland representative Ron Allen (also known as MC Intelligence in the jazz-hop group Hueman Flavor), was one of the first pro African American skateboarders back in the day. In the late 90s, Allen’s company Heeterz helped to expand hip-hop’s popularity among the skateboarding crowd by co-promoting with music labels like Hieroglyphics Imperium and Rawkus, packaging skateboards with music CDs (remember those?). That wave only grew in the 2000s, as African American pros like Stevie Williams landed endorsement deals with major fashion companies and hip-hop artists Pharrell Williams (aka Skateboard P) and Lupe Fiasco name-checked the sport in their music. As usual, the East Bay was at the forefront of the trend; The Pack’s 2006 hit “Vans” widened the longtime skate shoe company’s appeal beyond its traditional customer. 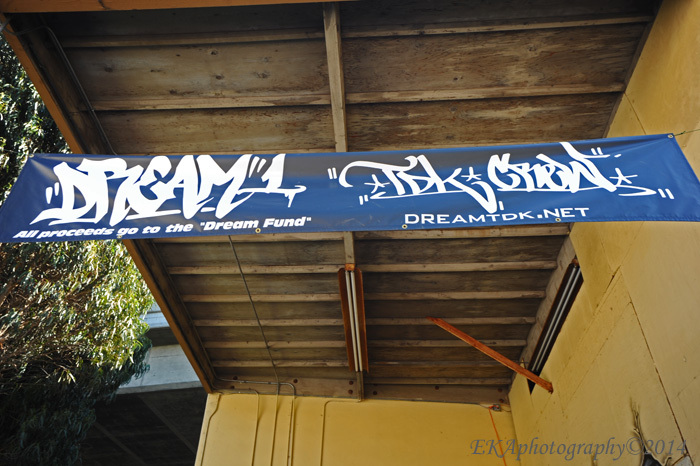 The Town Park story begins in the mid-2000s, when K-Dub launched the Hood Games in Oakland, after starting a skate club at Oakland High, where he was an art teacher. In 2004, K-Dub attended the X Games in Los Angeles. Noticing the contrast between the diversity of the crowd and the lack of diversity among competitors. 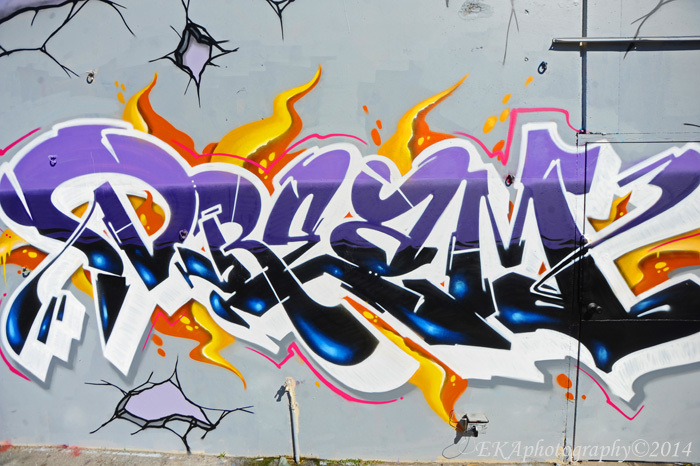 he worked with pro skater Karl Watson and East Oakland Youth Development Center to produce the first Hood Games event in 2005 in East Oakland. 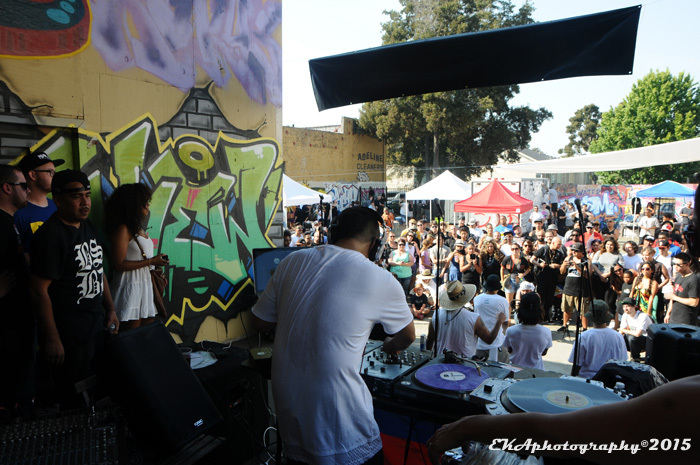 As of 2012, he had produced more than 30 events in both Northern and Southern California. In 2007, K-Dub teamed with Oakland’s Park and Rec department and began scouting locations, eventually settling on a vacant lot in DeFremery to create Town Park the following year. 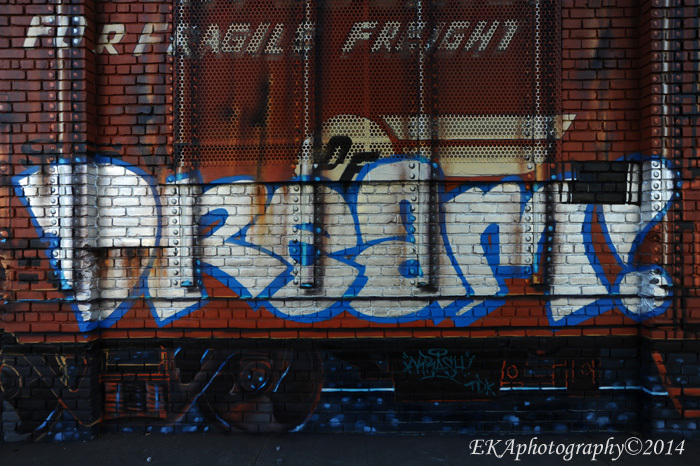 He relocated materials from a defunct skate park in Pleasant Hill to DeFremery—an underutilized park which was once a training ground for the Black Panther Party—a move which perfectly illustrates the urbanization of skateboarding from its suburban roots. 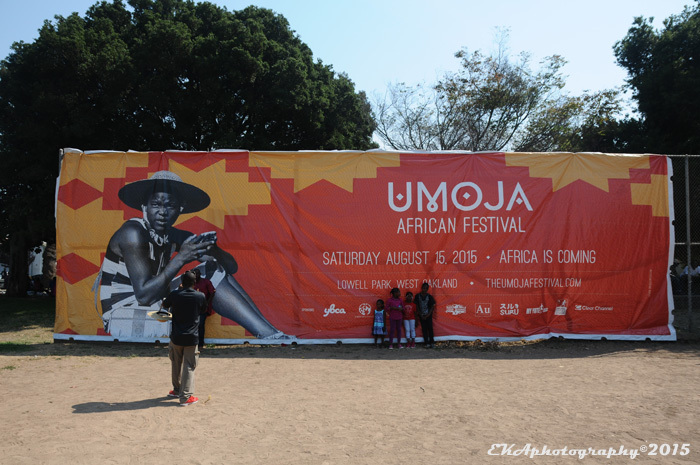 He began throwing Hood Games events there, scored to a soundtrack of reggae, and later incorporated the Hood Games into the annual “Life is Living” festival also located in DeFremery. Over the years, however, the wooden ramps and obstacles which comprised Town Park took quite a beating, and were in dire need of repair. 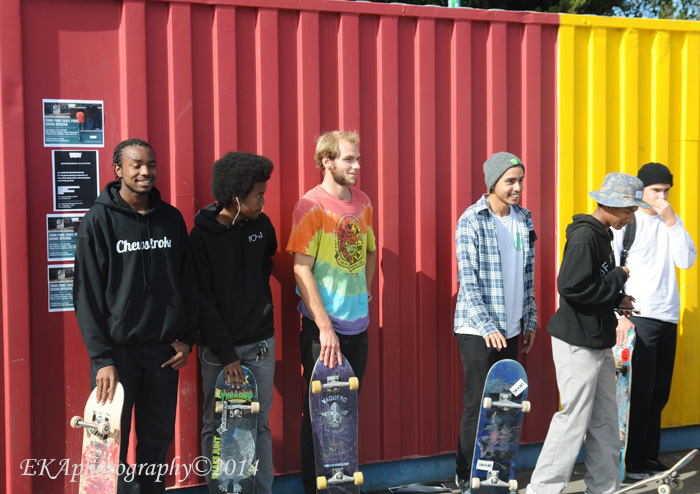 That’s when a team including Councilmember Lynette Gibson-McElhaney, California Skate Parks, Conscious Construction, and Levi Strauss Skateboarding stepped in, and Parks and Rec stepped up. On Saturday, the results of their efforts were clearly visible during the groundbreaking ribbon-cutting ceremony. 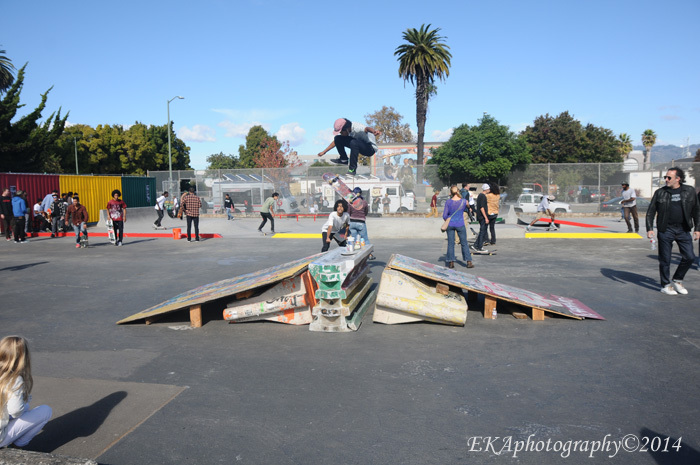 As K-Dub, Gibson-McElhaney, Levi’s James Curleigh, and a Parks and Rec spokesman each took turns at the podium, a glistening array of freshly-poured concrete ramps, rails and obstacles, highlighted with red, gold and green accents, shone brightly behind them. 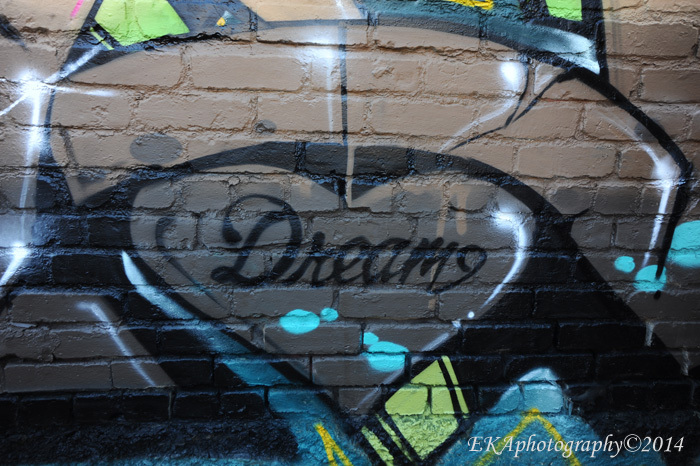 The transition from wood to concrete and the fulfillment of the Town Park dream was a big thing for the youth K-Dub mentors to witness, he said. K-Dub also spoke on what it means to create something permanent during the time when the city is undergoing major transitions. 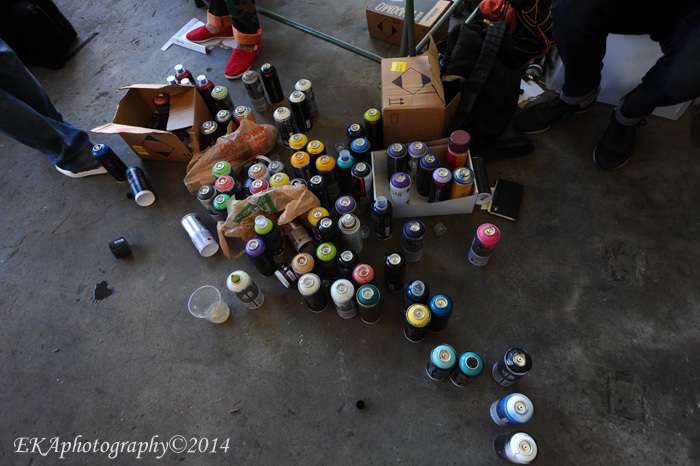 “As Oakland is changing, it’s kind of like clay. People are coming in and shaping it for what they want,” he said. 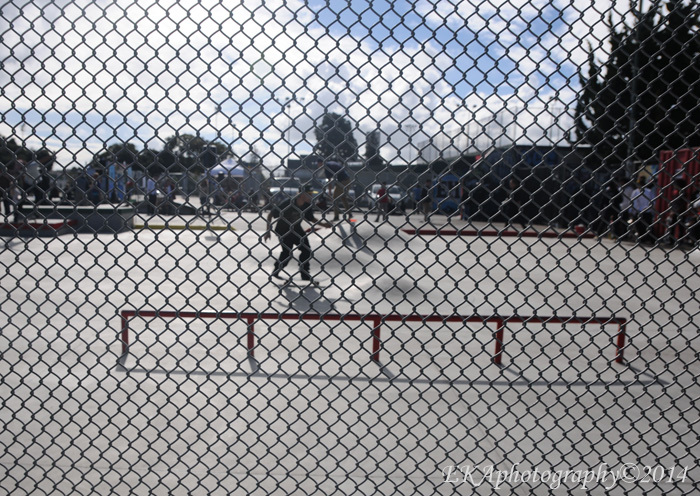 Following the ribbon-cutting ceremony, a small army of skaters, many of them neighborhood youth, wasted no time in putting the brand-new skate park – which is scheduled for two further phases of development – through its paces. 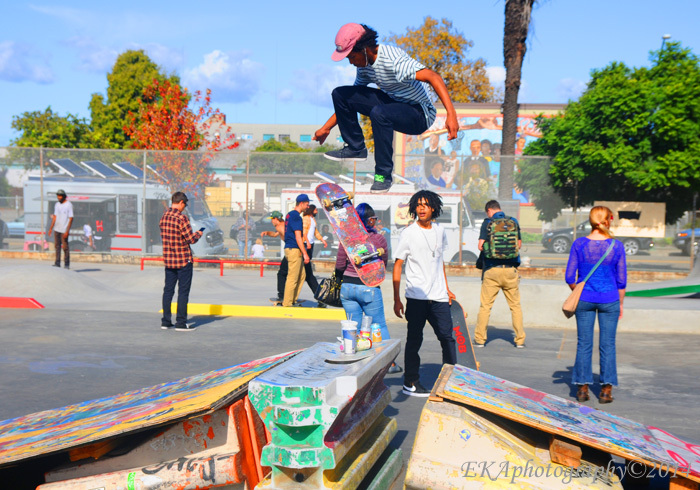 Ollies, kickflips and soaring jumps punctuated the air, as skaters grubbed on free munchies from two food trucks and a DJ spun reggae 45s. It was an auspicious day, as evidenced by the wide smiles all around. One of those smiles belonged to Allen, who’s still skating at age 50, and who stands as a pioneer of the urban skater movement, a man whose efforts decades ago helped to create the diverse subculture skateboarding has become, as reflected by Town Park’s broad constituency. 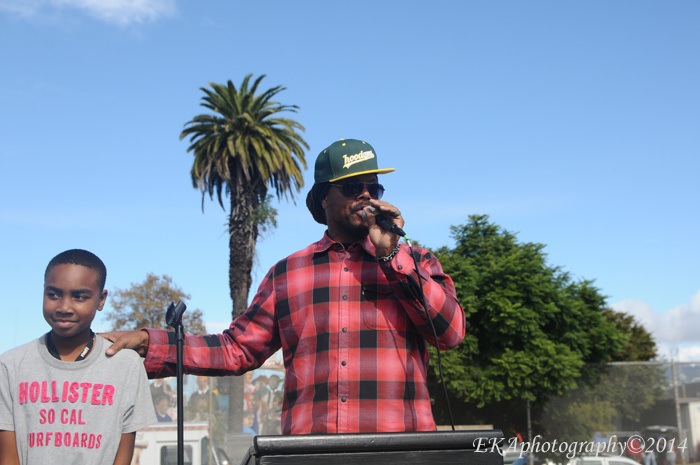 Categories: Event review | Tags: Councilmember Lynette Gibson-McElhaney, DeFremery Park, Hieroglyphics, Hood Games, Keith K-Dub Williams, Levi's, Ron Allen, skate park, Town Park, Urban Skateboarding, West Oakland, youth development | Permalink.